Taking its cues from other town/base building games such as Clash of Clans, Clancraft adds in a broader combat system, a deeper PVE story, and a more meaningful town construction system. Whether you’re gathering resources, pitting your troops against a fierce enemy, or building the ultimate base, there’s always something to do in Clancraft! Quests are divided into three broad categories: dailies (which can be repeated day after day), while combat missions will suggest PVE content appropriate for your level. 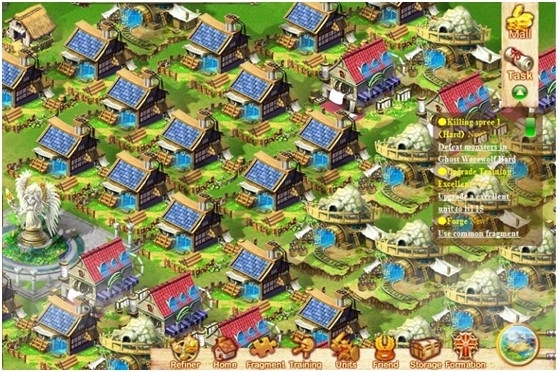 Finally, Town quests will give suggestions for what would be best to build next – this way players will never feel lost or like they have no direction. Clancraft also offers a more meaningful friend system than other base building games; the more friends you have, and the more you interact with them, the more energy you will accrue, which means you can continue playing the game for a much longer time than other browser titles! Ready for battle? Troops can be trained, upgraded, and combined together in a variety of ways to make the ultimate fighting unit. Then, on the field of battle, launch your allies down three rows of battle while the AI enemy does the same. It’s up to the player to skilfully launch a variety of units across the battlefield and ensure that anything thrown their way from the enemy is swiftly punished. Winning fights not only nets the winning player resources and bragging rights, but can also unlock additional, elite units! 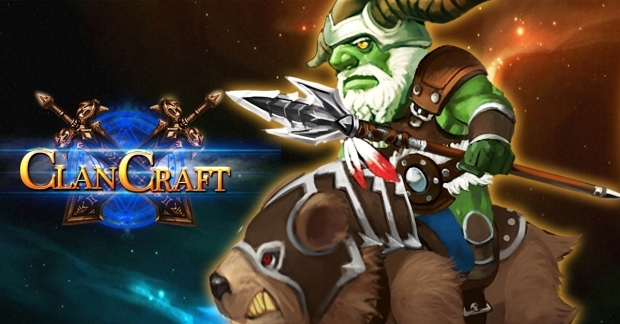 Clancraft is a new type of browser title, combining together flawlessly base building, combat, questing, and much more! Available to play now in closed beta, players can try out the game via Facebook at https://www.facebook.com/clancraftofficial or on the Gogogogo.com portal.